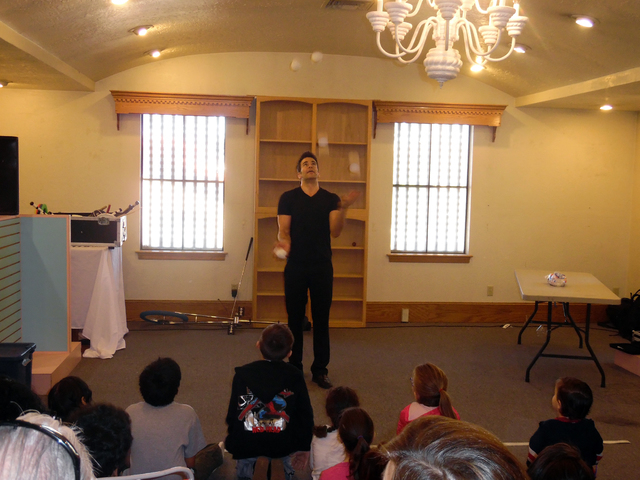 The kids at St. Jude’s Ranch for Children were treated to a private show Saturday when Jeff Civillico took a break from headlining at the Flamingo to perform his signature blend of comedy and juggling inside the ranch’s old gift shop. Hunter Terry/Boulder City Review Strip performer Jeff Civillico performed for the kids at the St. Jude's Ranch for Children on Saturday, balancing a variety of objects, including a chair, on his chin. Hunter Terry/Boulder City Review Strip performer Jeff Civillico performed for the kids at the St. Jude's Ranch for Children on Saturday kicking off a new monthly program. 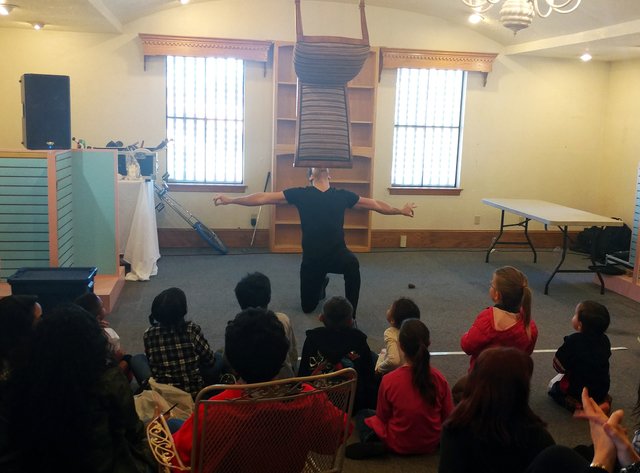 Civillico kept the children engaged with physical comedy, off-the-cuff jokes and audience participation, and he wowed them by balancing objects, including a chair and a table, on his chin. For the main attraction he juggled a variety of props, from bags, bowling pins and bowling balls to oversized knives, at one point even doing so atop a unicycle. The kids at the ranch have been through some tough times in their young lives and the performance made for a joyful day they won’t soon forget, according to St. Jude’s Executive Director Myesha Wilson. The performance kicked off a new monthly program at St. Jude’s with Civillico’s nonprofit group Win-Win Entertainment. The third Saturday of each month will now see a different family-friendly Las Vegas Strip entertainer donate his or her time to perform a free show for the children and staff at the ranch. February’s entertainer will be magician John Rotellini, and in the following months the children will be treated to performances that include storytellers, singers, dancers and puppeteers. Civillico founded Win-Win Entertainment shortly after moving to Las Vegas in 2010 and filed as a 501 (c)(3) in 2012, but said charity work was something he had begun long before that. 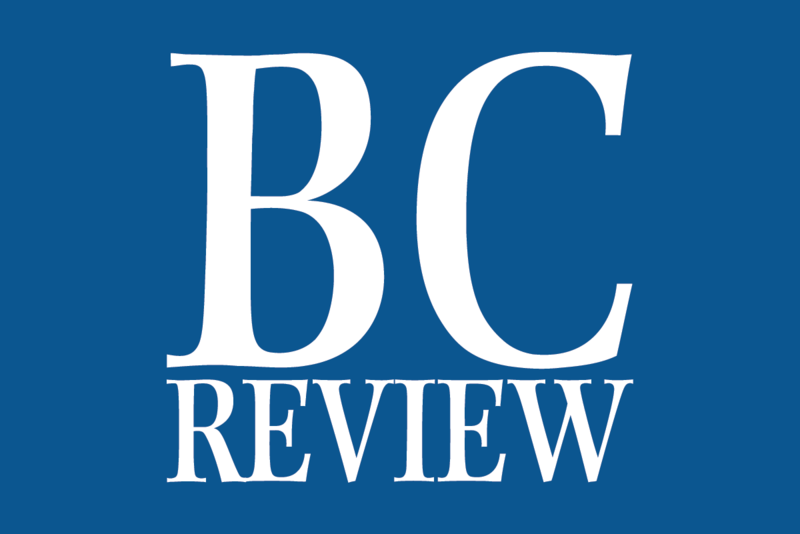 Before long Civillico said he had developed a reputation and would frequently get call from charities seeking help lining up free entertainment for events as well as from performers looking for gigs or a way to give back. He had two groups of people who really needed to be put together and from there it just grew. Now Win-Win Entertainment has ongoing programs at facilities across the Las Vegas Valley, including Dignity Health, Sunrise Children’s Hospital and Southwest Medical, and recently began to expand nationwide.